The meaning of flowers varies, depending on culture and perspective. Flower colors have special meanings as well. Flowers can be used to communicate ideas, send messages, and convey feelings. Flowers can mean different things to different people. Flower meanings are unique to each individual; influenced by personal experiences, culture, and individual perspective. The knowledge of flower and flower color meanings is especially useful when planning special celebrations and events (wedding, birthdays, anniversaries), or when giving the gift of flowers to a special person in your life. Celebrations and flowers go hand in hand. Flowers set the stage and determine the ambiance of celebrations and special events. 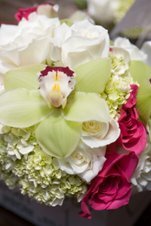 A talented florist will tailor event flowers to complement the color scheme and style of your celebration, while taking into consideration any messages and feelings you would like to convey. A gift of flowers sends a powerful message to that special someone in your life. Flowers express feelings, such as love, gratitude, sympathy, and happiness. In many cultures, the symbolic meaning of flowers is considered a form of communication. Some cultures incorporate flowers into ceremonies and celebrations, while others consider flowers and flower arrangement a form of art. 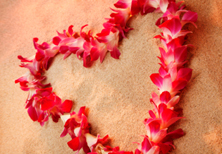 In Hawaiian culture, a flower lei (garland or wreath) is given as a sign of affections. Reasons to give a Hawaiian lei include: to welcome or greet, to say goodbye or farewell, as a sign of recognition, or to express love, honor, or friendship. During Hawaiian wedding ceremonies, leis are worn by the bride, groom, cherished family members, and close friends. Ikebana (“living flowers”) is the Japanese art of flower arrangement. It is also known as kado (“way of flowers”).